Llanarth Mirain was born in 1983 and is by Llanarth True Briton and out of Llanarth Mair, who is by Llanarth Braint. 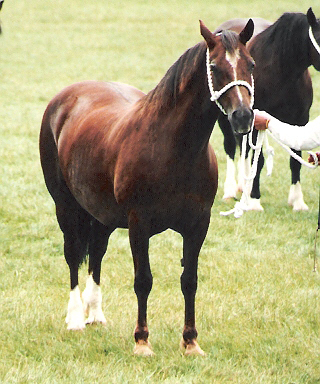 She was 4th in the Barren Mare class at the 1993 Royal Welsh Show. For more fantasic photos by Anthony Booth please see the photo archive on the Rainhill Welsh Cobs Website.